Brett Graham began his cooking career in Newcastle, Australia. Aged 15, he started working in a simple fish restaurant. He then moved to Sydney where, during a three-year stint under Liam Tomlin at the highly acclaimed Banc restaurant, he won the Josephine Pignolet Award. This award granted him a trip to the UK, where he secured a job at The Square, working for chef Philip Howard. Further awards followed, including the ‘Young Chef of the Year’ in 2002. 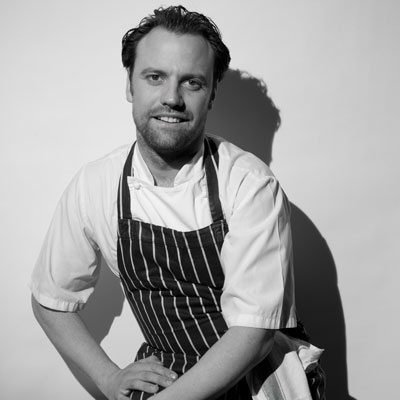 He now works at London’s award-winning The Ledbury. The restaurant has gained many accolades including the much coveted second Michelin Star.